If in your hunt for the perfect architect you’ve found one who’s offering an incredibly cheap service, you might be thinking: is this too good to be true? At Resi, we’ve made it our mission to create a service for the everyday homeowner. This includes pricing our services to make them affordable, letting no penny go to waste. That being said, we still want to hire the best architects, surveyors, and technicians. We also want to make sure you’re getting the attention you deserve, that means plenty of communication, and designs unique to your home. Because of this dedication to quality, our prices aren’t always the cheapest when compared to small local architect practices. So what’s the harm in scrimping on a little quality for a good price? With architecture influencing the rest of your project, cutting corners at this stage can have some serious consequences for your home. Architecture has many stages. From initial drafts, to preparing your planning package, planning support, all the way to drawing up your building regulations package. And because of these stages, some practices like to offer up cheap deals early on, knowing they’ll be able to recoup these costs further down the line by charging much larger fees for their building regulations service. So before you jump on a fantastic upfront deal, it’s worth inquiring about future packages. At Resi, we’re clear about our costs from the get go, including the subsequent payment plan. Make sure you’re getting the same level of care, so you don’t get caught out by hidden fees down the line. Whether you’re extending, converting, or renovating your home, you’ll likely be investing a good amount of money into the project - no matter how cheap your architect. So with all the money going into construction, materials, and labour, why suffer from poor design? No matter how great the rest of your efforts, if the space is badly designed, there’s no way to come back from that. Space won’t be maximised, giving you less for your money, and the price of your home won’t go up as much as it could. In fact, a badly designed space can even be off putting for future buyers, even bringing the worth of your home down. Don’t forget, you’re not only paying for an architect’s skills, you’re also paying for their time. Time that should be spent getting to know your home, your needs, and the lifestyles of those within your house. When prices are cheap, you’re unlikely to get that one on one time, or have any extra hours put towards bespoking your design. More than likely, you’ll be given a one size fits all extension. Nothing but a simple box placed at the rear of your property, with no consideration made for your unique requirements. 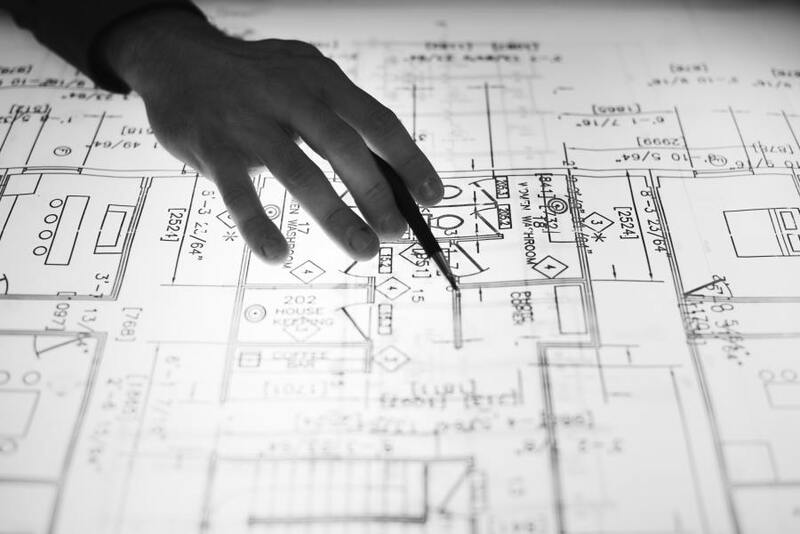 Without attention to detail, and time spent researching your local planning policy, your project will be at a higher risk of facing rejection. Low cost packages are unlikely to include planning support, or if they do, this will only extend to putting your documents together. Few of the budget architecture practices will have a planning agent on staff, like Resi is lucky to have. This means you won’t have a professional liaising with your local planning authority. Having an architect act as your planning agent is one of the best things you can do for planning success. Not only will they make sure your paperwork is tip top, they’ll also talk to your local authority and be able to work out if any quick, last minute design changes are needed to get your plans through the door first time. Without this planning support, and with poor designs, you’ll find all that money you saved by getting a cheap quote now going towards a second round of planning. Not all projects require planning permission. In fact, a lot of homeowners can benefit from a scheme known as permitted development rights. This entitles you to extend your home without the need for a planning application, providing a strict set of requirements are met. If you choose to go down this route, but your architect hasn’t made sure your designs fit within the given criteria, you could face a series of penalties if you go ahead with construction. This could be a hefty fine, or you could even be made to demolish your extension - losing you thousands. When you think about it like that, saving a £100 here or there doesn’t seem worth it. Your architect might be willing to let bad design slide for a quick buck, but you might find your other professionals aren’t too happy to do the same. If you start out with bad drawings, specialists who you work with down the line will have to do extra work to rectify mistakes. For instance, if you have a structural engineer doing your building regulation drawings, they’ll have to put extra time in to cover any key details missed - and make no mistake, this extra time will be billed! And if your budget architect takes on your building regulations, but does a poor job, your contractor will need to work harder to get those designs ready for construction. Again, this will cause their prices to increase, and your build will now be subject to delays. Speaking of delays, these might start to creep in earlier than you’d like. Architects on the cheap side won’t have many professionals in their practice, this helps keep costs down. However, in order to make up for their low prices, this small team will likely take on more projects than they can handle. This means, should something go wrong with another customer, your architect will divert their attention from you to them - often causing big delays. It’s not uncommon for us to hear horror stories of some homeowners waiting months to hear back from their architect. Delays such as this can not only be frustrating, it can mean your extension misses key events, like building in the dry summer months, or booked in dates you have with other professionals. As we stated at the start of this article, Resi offers a competitively priced service, without any of the drawbacks. No travel costs or time lost in transit, our screen-share calls mean you can communicate with your designer without constant face to face meetings. We have over 20 designers in house, meaning we have plenty of hands on board to get the job done. Experience. With over 1000 projects completed to date, we know everything there is to know about residential architecture. This means with can spot issues ahead of time, and resolve them before you get to planning - giving you the best chance of first time approval. Speaking of planning approval, we also have in-house planning agents to guide you through the entire process. Discover how Resi can help your project, and book yourself in for a free consultation with our experts. We’ll help give you an idea of design potential, budget requirements, and timelines. Did we mention this service is free? Now that’s good value for money!